Do you want to learn how to create a MailChimp subscribe form in WordPress? Adding a MailChimp signup form to your website is a great way to grow your email marketing list and build a bigger following. 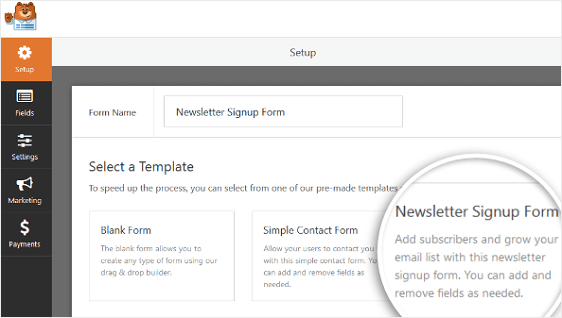 In this article, we’ll show you how to create a MailChimp subscribe form in WordPress. Next, go to WPForms » Addons and find the MailChimp Addon. 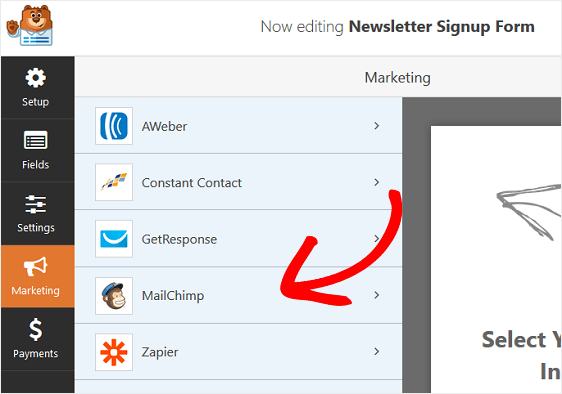 Install and activate the MailChimp Addon. 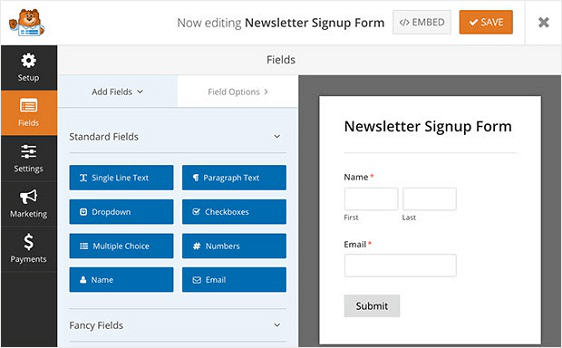 Once your WPForms MailChimp addon is active, go to WPForms » Add New to create a new form. Then, click on the field to make any changes. You can also click on a form field and drag it to rearrange the order on your MailChimp subscribe form. One of the most important form fields to consider adding to your MailChimp signup form is the GDPR Agreement field. Keep in mind, all you have to do is click on the form field to make changes to the default language the GDPR form field has. 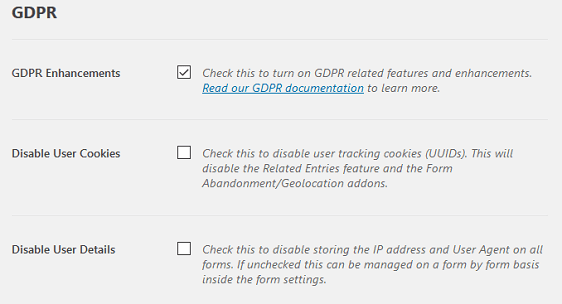 In order to use the GDPR form field, you’ll need to go to WPForms » Settings and click on the GDPR Enhancements checkbox. By doing this, you’ll enable the GDPR enhancement features WPForms has available for you to make complying with GDPR that much easier. 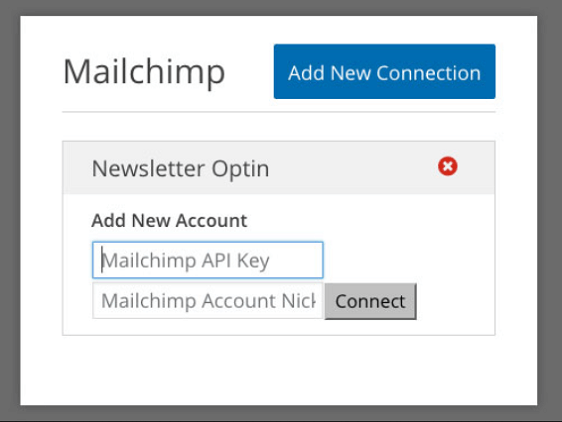 Now, we’ll take a look at how to configure the MailChimp settings so you can connect your signup form to your newsletter service. 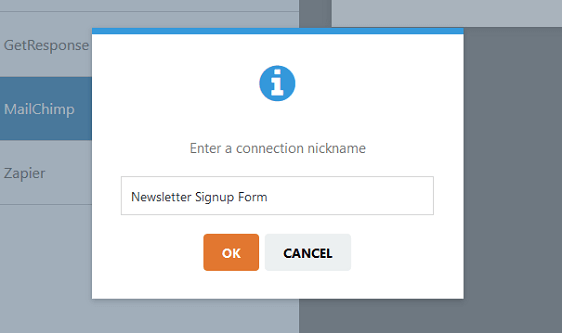 To connect your newsletter signup form to MailChimp, go to Marketing » MailChimp. Enter any name, since this is for your reference only, and click OK.
On the next screen, you’ll need to add your MailChimp API Key. You can get this by signing in to your MailChimp account. Then, go to Your Profile » Extras » API Keys. 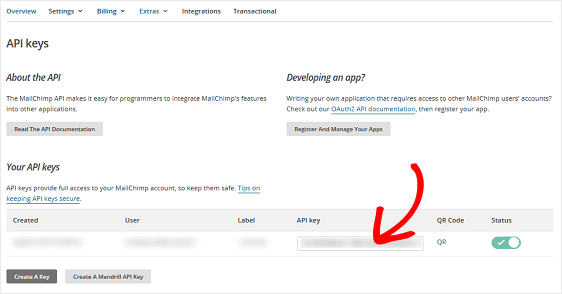 Copy and paste your MailChimp API Key into WPForms. Then confirm by clicking Add New Connection. If you’re interested in letting your site visitors pick the mailing list they want to join, check out our helpful guide on how to let users pick a MailChimp list. After configuring these settings, click Save. Notifications are a great way to send an email whenever your subscribe form is submitted on your website. 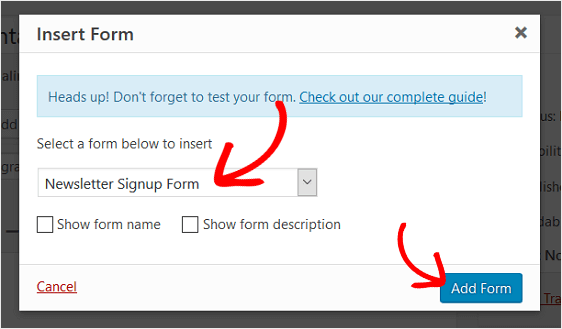 You can send an email to yourself, which WPForms does automatically unless you disable form notifications. You can also send a notification to a member of your team by adding their email to the Send to Email Address field. In addition, if you use smart tags, you can even send a form notification to your site visitor to let them know their form has been received. Confirmations are a great way to let your site visitors know immediately that their form has been submitted. Message. This confirmation type will display a simple message once a site visitor submits their form letting them know their form has been processed. After you’ve created your MailChimp subscribe form, you need to add it to your site. WPForms allows you to add your forms in several locations including your blog posts, pages, and even as a sidebar widget. Let’s take a look at the post / page embed option. Start by creating a new post or page in WordPress and then click on the Add Form button. Next, select your subscribe form from the dropdown meny and click Add Form. 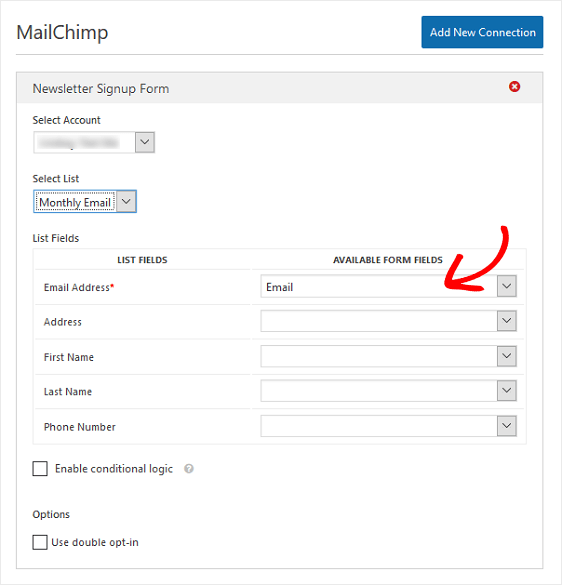 Lastly, publish you post or page so your MailChimp subscribe form will appear on your website. And there you have it! You now know how to create a MailChimp subscribe form in WordPress to help build yourself a bigger email list and grow your business. If you want a way to boost form conversions, and encourage more site visitors to subscribe to your MailChimp mailing list, consider delivering a content upgrade to subscribers in exchange for their email address. It is great to have a sign up form like that described above but you have not covered how a person can cancel their signup. Even if it is via Mail Chimp it is a very important part of the setup and it would be helpful to have some comment here. Hi, I had read your blog and try to add an email subscribe form in my website https://bulkacounts.com/, but unable to add. Can you please help me. If you have a paid WPForms license, please contact our support team and they’ll be happy to look into the issue for you.